Motorcycle is a great way to travel, in spite the fact there is only two wheels - you will be able to pass every obstacle. 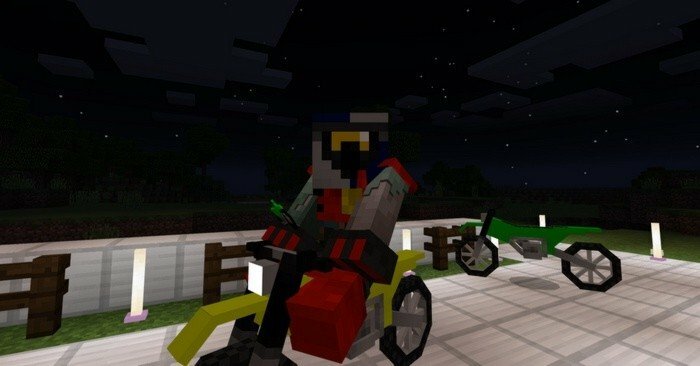 First of all you will need to either spawn motorcycle using egg or find it somewhere around, then just sit on it and enjoy your ride. 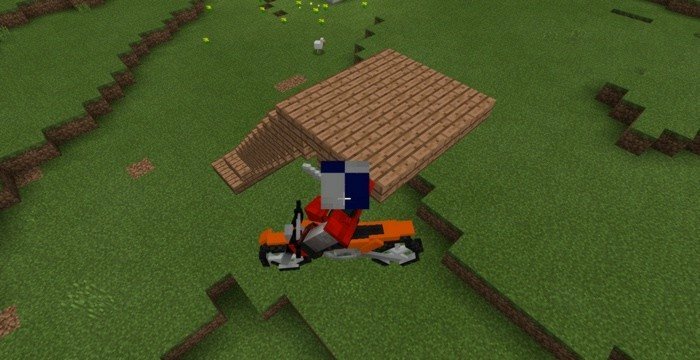 You can even perform some kind of stunts - don't forget to put the helmet on. 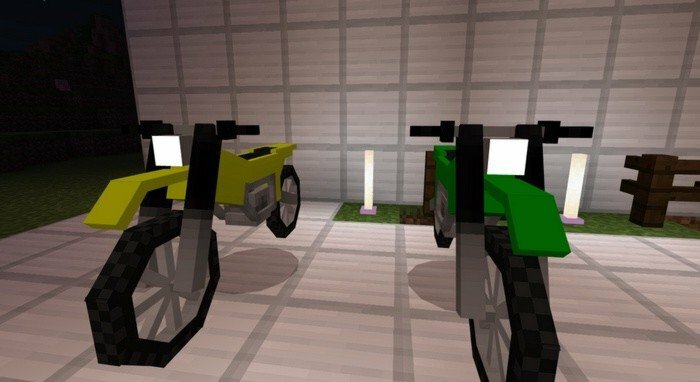 Motorcycles from this mod are much more convenient transport than a horse and it won't ask you for any wheat. Get it using download links at the end of the article.